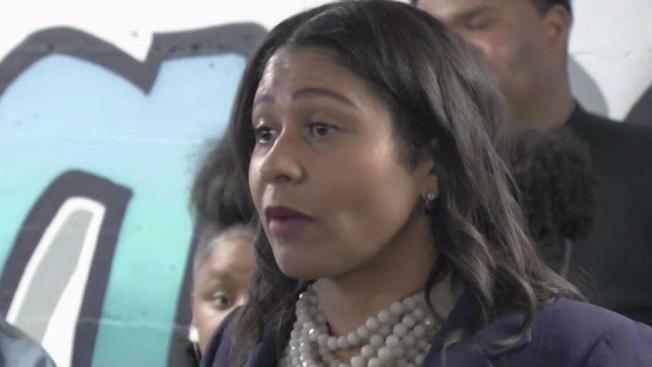 Acting Mayor London Breed on Friday declared her intention to run for mayor in a special election scheduled for June, joining several other big-name candidates in an increasingly crowded race. Breed announced her plans to run at a news conference in the Sunset District following a rally held by some of her supporters at City Hall on Thursday afternoon. "I'm not a partisan. I'm not an ideologue," Breed said in a brief statement posted online announcing her candidacy. "I believe in a San Francisco where we succeed as one. Together there is no problem we can't solve." Breed will be one of a number of candidates running in the June 5 special election, which was called after the unexpected death of Mayor Ed Lee on Dec. 12. Whoever wins that election will serve for the remainder of Lee's term through January 2020. Former state Sen. Mark Leno, Supervisor Jane Kim and former Supervisor Angela Alioto have all said they plan to run, while City Attorney Dennis Herrera has pulled papers to run. Assemblyman David Chiu is also rumored to be considering a run. Breed, who is also president of the Board of Supervisors, became acting mayor automatically upon Lee's death, and currently holds that position as well as her District 5 supervisorial seat. She will continue to hold both positions unless the Board of Supervisors votes to appoint someone else as interim mayor. The board has been on recess but will hold its first meeting of the new year on Tuesday- which just happens to be the filing deadline for candidates for the June election. A San Francisco native who grew up in public housing and previously worked as executive director of the African American Art & Culture Complex, Breed won election in 2012 and was re-elected in 2016. In addition to the mayoral special election, the District 8 seat held by Supervisor Jeff Sheehy will also be on the June 5 ballot. Sheehy, a longtime HIV and AIDS activist and the city's first openly HIV positive supervisor, was appointed by Lee in January following the election of former Supervisor Scott Weiner to a state Senate seat. His biggest opponent so far is urban development attorney Rafael Mandelman.